I am going to talk about one of the games covered in the original post, Gloomhaven. The basic idea. It is an adventure campaign. Players choose a character class, get a deck of skills, a character sheet, some gold and they buy gear from the shop in Gloomhaven. They also gain a personal quest to achieve along the way. There is a quest book which dictates where players go on the board, which has lots of numbered locations – but no detail. Detail is added via sticker at a later point. In essence, the world grows as the adventure does. 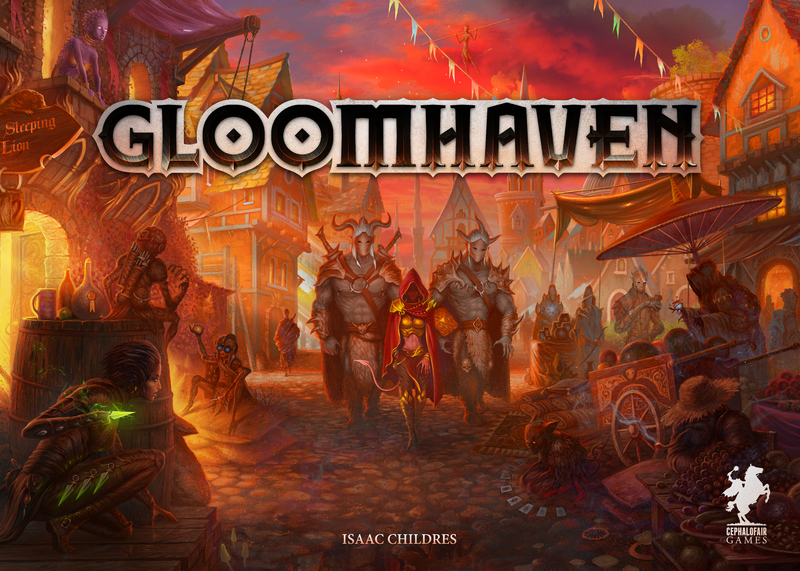 Another aspect that appealed to me is that the town, Gloomhaven, becomes more prosperous as you adventure which means more items in the store. As regular readers know, I love adventure games where you pick characters that develop over time. That is why I love Descent, it is why I am keen for Super Dungeon Legends (when it finally arrives…). This game ticks those boxes having evolving characters, evolving maps, and an evolving town. Plus, I love High Fantasy games. At time of writing, there is still plenty of time to back this project. You can do so, or just get a more detailed look, at the Gloomhaven Kickstarter Page. I can’t really say anymore at this point as I am only giving impressions of the KS campaign. Will hopefully have first impressions and possibly an unboxing for you later this year. I love kickstarter, but I have to be careful and not spend too much money on campaigns at once! I have two campaigns that I want to pledge to, but I don’t have the money right now. Hopefully I will have some extra from when I get paid to fund both of these.